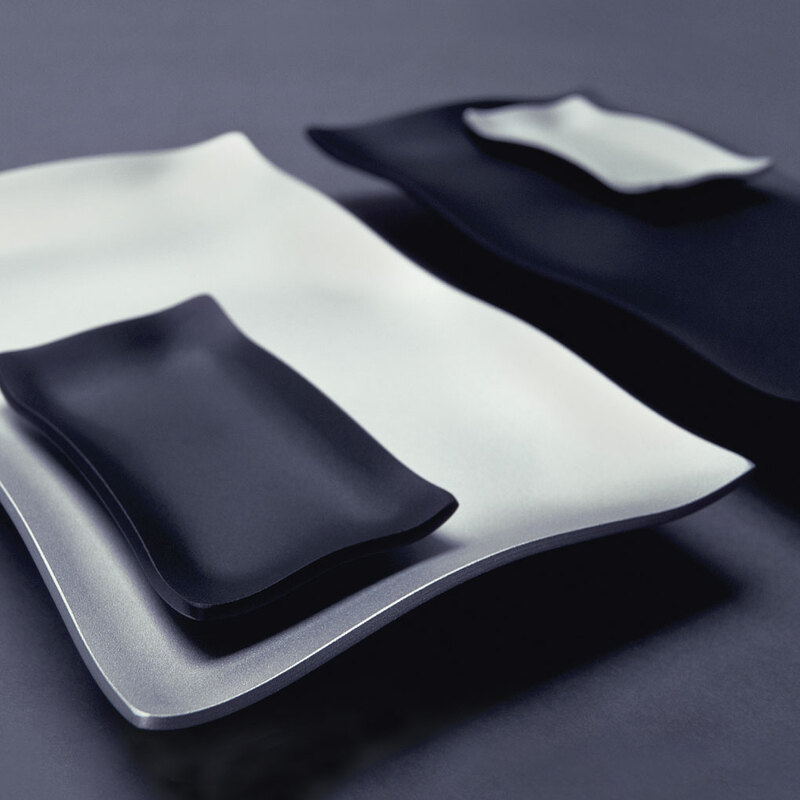 The Sushi Set is an extension of the exploration Robert Foster has made into surface textures in his one-off exhibition pieces. The soft lines of this design challenge the perception that metal is a hard and static form. The gentle undulations create a sense of flow and movement like rippling water. The sensual nature of the shape complements the Japanese art of aesthetically displaying the beauty of the food that is prepared. The Sushi Set contains two sushi trays and two complementary wasabi dishes. They are available in colour combinations of matt black and matt silver.